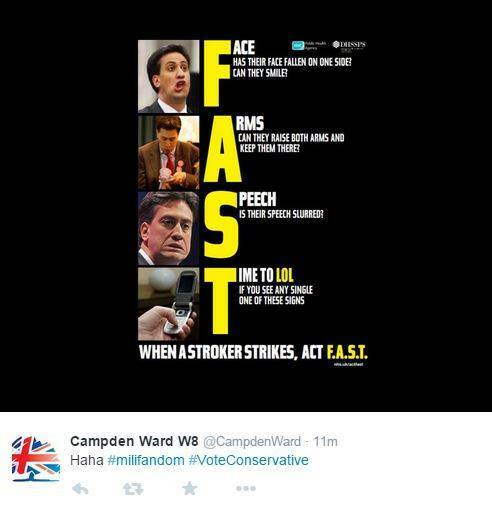 This offensive image mocks the Stroke Association’s Act FAST poster – illustrating each of the charity’s three signs of a stroke, “Face, Arms and Speech”, with a picture of Ed Miliband, being mocked as a victim of brain damage. Since when, in the 21st century, did it become an acceptable part of democratic dialogue to attempt to ridicule and reduce political opponents by systematically mocking their physical characteristics? Or by contemptuously defining, discrediting and dismissing them as ill and disabled? Moreover, how has it become acceptable that ill and disabled people are held up as objects of political derision? Amidst claims of an attempted cover-up, Campden’s three Tory councillors have denied having anything to do with the post. Councillor Catherine Faulkes said that she and her two elected colleagues do not run the page – but has refused to say who does. I don’t buy that. Conservatives have always coldly conceived society as a hierarchy of human value, and they have, from their pinnacle of supremicist, self-appointed authority, historically cast the poorest and the most vulnerable citizens as the putative “enemies of civilization.” Social Darwinism is written in bold throughout their policies. There has never been a clearer contrast between the values and approach of the two main political parties: the Tories are undemocratic, they state plainly that some people’s lives don’t matter – the food bank debate and the bedroom tax debate are further examples of how Conservatives reduce human subjects to objects of derision. Whilst Labour MPs spoke out in the debates about the terrible difficulties that vulnerable families in their constituencies are facing, we were faced with the unedifying spectacle of Tory MPs laughing, jeering and shouting their spiteful glee at the plight of those people that this government have intentionally impoverished – after all, policies are plain and legislated statements of intent. By contrast, the Labour Party have fostered a counter-narrative that is decent, democratic, inclusive and about a fundamental equality of the worth of each human life, founded on a strong commitment to human rights – without which there can be no meaningful social justice and democracy. Labour recognise human potential, and surely that is what progressive politics is about, ultimately: human and social development. The Tories, on the other hand, never fail to stifle our individual potential, social evolution and development. Progressives liberated themselves from the pre-occupation with superficial characteristics and taxonomic ranking of human beings – the emphasis on “what” we are – and began to cherish “who” we are, delving into our human potential and celebrating our diversity as much as our individual, equal worth. The Conservatives have created a Darwinist social landscape – they always do – and yet take it upon themselves to “civilise” we “irrational” heathens, using disdainful behaviourist nudges that deny our autonomy by acting upon us, telling us how to be, rather than acting for and with us, and a rhetoric peppered with authoritarian morality, blame, ascribed motives – the poor are dismissed as “scroungers” for example. Projection is a defence process by which personal inferiority is recognised as a perceived moral deficiency in others. It’s a bully’s way of protecting their ego – an assembled fantasy – from their psyche. I have often thought that beneath the need to control others and cruel behavior lies a profound emptiness. Scorn, spite, rage, anger, and hatred are ways of filling the emptiness. Perhaps some people believe it is better to feel sadistic than to feel nothing at all. To stop feeling, after all, is to die. Or perhaps investing such hatred in others is a way of undoing their own profound self-loathing. We are being led by a group of people that have failed to grasp the myth of individualism: identity is a deceit, it is nothing more than a superficial mask that is tied to largely unconscious impulses. Whilst we, in appalled fascination, watch on, these preachers of materialism measure out our human worth in meagre pounds and pennies, whilst presenting us with reductive, impoverishing sermons on primitivity, dominance and cruelty. Where does cruelty come from, and why do we permit it, as a so-called civilised society? I’ve previously discussed Gordon Allport’s work which explored the psycho-sociological processes that led to the Holocaust. Allport knew that it’s crucial to recognise social prejudices and dehumanization, because these processes push our rational and moral boundaries, gradually eroding the natural inhibitions that prevent us from inflicting harm on other human beings. The stages of prejudice unfold, permitting bullying, cruelty, persecution and ultimately, Allport’s end-stage: systemic genocide. It’s a social process of barely perceptible stages: the perpetrators become increasingly confident in the “validity” of their prejudice, the public are systematically desensitised and indoctrinated. Mocking, negative stereotypes and negative images become a part of our everyday culture and language: hate speech is normalised, discriminatory policies and practices flourish, hate crimes are permitted. On a psychic level, our repressed, destructive urges; the reservoir of darkness that is our shadow selves; our uncivilised rage and fear – previously sublimated – are manipulated and directed at politically constructed scapegoats. For me, Gordon Allport and Carl Jung respectively show us that when those who have never confronted our instinctive, collective fear of the dark are urged to open their own cellar door, it is others that are consumed by the ferocity of the straining beast that is found there. Those right-wing critics of left-wing political correctness are wrong. Far from it stifling free speech, political correctness liberates us by actually acknowledging the straining beast within us all, and helps us to begin a dialogue about how we can help each other find our way in the dark. That has got to be so much better than denial and projection, which happens beyond the light of reflection, integration and consciousness. Hate speech isn’t free speech at all: it’s aim is to intimidate, silence and to close down democratic debate. And the consequences of denial and projection are scapegoating, prejudice, discrimination, persecution of others, all of which may lead to genocide if we fail to address such social manifestations from our psyche. Jungians believe that our own shadow contains and reflects the shadow of society, which is fed by ancestral, abandoned, neglected and repressed collective values: the collective unconscious. Our psyche is an assemblage of our timeless collective fantasies. There are shared, fundamental elements that make up the collective unconscious and generate a limiting framework around which our psychic material organises. Jung referred to those elements as archetypes. We are much more than that which we choose, embody, perform, and identify with. The common importance of the collective unconscious makes people especially vulnerable to political manipulation, especially in an era of mass media. The media is far from objective, benign and politically neutral, in fact we have handful of offshore billionaires that have subverted democracy and established a cultural hegemony. This self-appointed elite are telling you that some human lives are worthless, whilst investing in their own, quite literally, at all cost to our society. 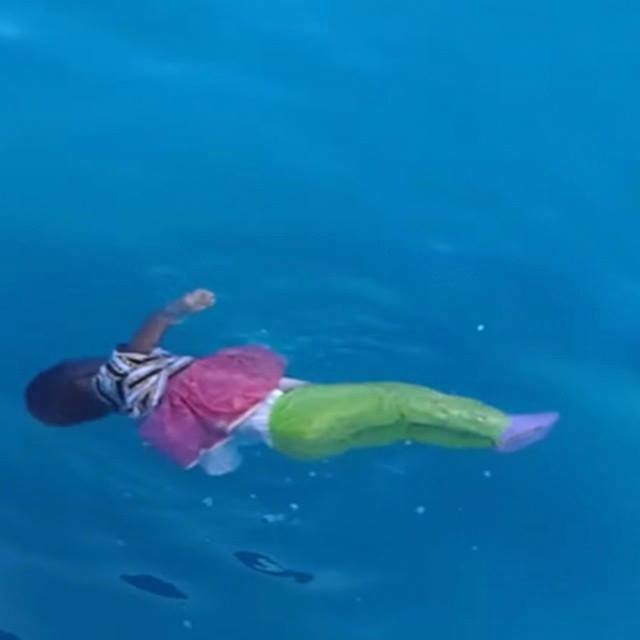 The United Nations High Commissioner for Human Rights has said recently that UK tabloid coverage of “immigration” is directly linked to the loss of life (of refugees) in the Mediterranean, for example. The media have created a category of others, and desensitised the public to the humanitarian crisis that has unfolded. Using the word “immigration” implies that people are travelling from choice. These people are not migrants: they are desperate refugees. This dear human child tragically lost her precious life on Sunday. Her “feral” family were fleeing for their lives. They were trying to save her. The number of people fleeing war, oppressive regimes, unspeakable horror, pain and absolute poverty in the Middle East and Africa has risen sharply in recent months. Around 65% of the refugees are from the Syrian civil war zone. Their desperation is being exploited by profiteering smugglers, linked with organised crime, who charge exorbitant fees for transport in often unseaworthy cargo vessels, cramming hundreds of human beings into locked holds. It is now estimated that for every 1,000 refugees that are known to have crossed the Mediterranean, more than 46 lose their lives in shipwrecks. The actual number might be much higher. “Under the guise of freedom of expression, [negative coverage is] being allowed to feed a vicious cycle of vilification, intolerance and politicization of migrants,” High Commissioner Zeid Ra’ad Al Hussein said in the statement. However, the word “migrant” implies choice of movement. These people are fleeing for their lives, they are not migrants: they are refugees. For those of you that hate refugees, and fail to recognise others as being of equal worth to you, perhaps it’s worth considering that the Nazis didn’t simply exterminate the ethnic group of public choice, they also exterminated sick and disabled people, social democrats, socialists, trade unionists, freemasons, communists, and anarchists, the Roma, Slavs, Polish people, gay people, poor people, vagrants, pacifists, people with mental illness – including those with war-induced PTSD, unemployed people, drug addicts, people who were better artists than Hitler, and the list was continually extended. You see, prejudice and cruelty multi-task very well, and scapegoating and persecution doesn’t stay confined to the social group you may dislike: fascists are mercilessly fascists, regardless of who you are. Jung once remarked on Hitler: “You know you could never talk to this man; because there is nobody there … It is not an individual; it is an entire nation.” He was referring to the collective unconscious. I am reminded of ancient cultures sacrificing to their “Gods”, offering up their joys of cruelty to appease. Conservatives are liturgists of competitive individualism, market forces and minarchism. The ecclesiastical procession of our own right-wing state is ritualistically sacrificing people to appease their own god: neoliberalism. The ability to recognise and translate our collective, remnant, dark impulses, and excercise self-control is a rare and remarkable virtue. Yet the collective conscious contains all aspects of human nature: light and dark, beautiful and ugly, good and evil, if we would only turn to look at it. The Holocaust is the most thoroughly documented example of the extreme savagery and hideousness of dehumanization. It’s a little too easy to imagine that the Third Reich was an aberration. We can take the easy option and dismiss the Holocaust as a very unusual phenomenon – a mass insanity instigated by a small group of deranged ideologues who conspired to seize political power and exercise their monstrously evil will. It’s comforting to imagine that these were uniquely cruel and savage people. However, one of the most disturbing discoveries about how the Holocaust happened is not that all of the Nazis were madmen and monsters. It’s that they were mostly ordinary human beings. My point is simply this: every one of us is vulnerable. Every single human being is susceptible to frailties – we are each partial, and easily compromised: open to the ravages of fear, doubt, insecurity, anger and loneliness, and to the shadow of our unchosen choices – the person we choose to be always invites a dark double – the person we choose not to be – the psychic twin we keep leashed deep in our psychic basement, as it were. The more we repress, the darker our shadow becomes, and the greater its influence. By alienating our self and our own shared, instinctual foundation, we fail to recognise when it motivates us, animates us and directs our deeds. It is all to easy, therefore, for those who are politically motivated to manipulate our perceptions, to touch and rouse the ancient predatory instincts we all have locked away in the cellar of our psyche. Perhaps a definition of evil is suffering transferred to others. In the process, whatever started the original pain is forgotten and the energy of it moves around amplifying revenge and cruelty until someone somewhere contains it, and transforms it by walking in the shoes of many others towards empathy, wisdom, kindness and compassion. We have that wonderful potential. All we need to realise it is the courage to face our selves. Beyond the cellar door. And by facing our selves, we recognise all others. 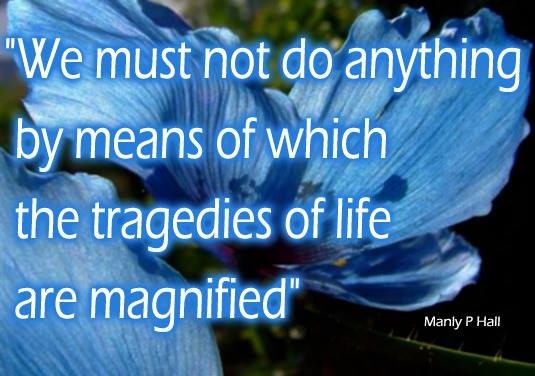 Anyone who has recognised transference as a potentially therapeutic tool in a group setting will tell you that emotions are a tangible, primordial, manifest life-force, moving indiscriminately, relentlessly from person to person, animating, hating, hurting, loving and healing. E-motion -> movement. We are primarily emotional creatures. Advertisers and propagandists know this. Many of us deny it. However, as developed human beings we endeavour to learn and to recognise the base elements of the psyche and arbitrate: mature adults liberate their self, both from the deceptive cover of the persona, (some call this the ego – our superficial individual identity – though the ego is also considered to be a mediator between self and society) and from the power of (universal and personal) unconscious impulses. But the more we repress, the more the leashed shadow strains for release from the force of our resistance. Perhaps if we were to rename and redefine the shadow archetype as “teacher”, we would find the motivation and courage to face what is in the darkness of our collective basement. And learn. Know thyself – Delphic maxim. Picture courtesy of Robert Livingstone. Here, I’ve used Jungian concepts as a frame of analysis. Jung provides us with an expansive frame of reference and an invaluable therapeutic tool, yet his work has all too often been devalued and dismissed as “new age mysticism.” But for me, any kind of personal development may be deemed “spiritual” without necessarily having any reference to a systemic religion. It is proposed that Jung had a profound influence on the development of quantum theory through his own theory of synchronicity – as a mode of relationship that is acausal and non-local – an idea that influenced Wolfgang Pauli, in particular, as well as other physicists. Jung’s archetypes have also been identified as universal and this seems to have been verified at an anthropological level. They certainly have a powerful cross-cultural resonance. As a stroke survivor, I cannot see the image that you perceive to be offensive as it is not displayed on the blog that you circulate. Should or am supposed to feel shocked & mortified by man’s inhumanity to man .Or should I be awakened by your verbal imagery: upon Jung’s version on the existence of insanity within humanity ? Sometimes I feel lost & alone in this chaotic cosmos of devils until I awaken & find it is but an illusion. Today I am alive ! Lucky me ! On whose behalf do you speak for on or within the UK Labour Party ? I’m not speaking on anyone’s “behalf”: I am observing and reflecting. I am a survivor of a brain (subarachnoid) haemorhage, too. It’s May day tomorrow ! Just when you think the Nasty Party can’t sink any lower they plumb the depths. They are contemptible and loathsome. I sincerely hope that in a few days time the British people well and truly consign them to the dustbin of politics and vote Labour for common sense and decency towards all members of society. Reblogged this on Apathy Kills. Very well said, Sue. Very well considered blog. Since when has this become acceptable in Britain, you ask. How disgusting … and why would we expect anything less from the tories who think disability is a joke. Do we really want another 5 years of this shower of s**t? I can’t believe the electorate have voted for this government of cruel thugs.In fact, I don’t believe it.I can’t find anyone who knows anyone who voted for them.There’s been some cheating here, I’m certain .The election result as we have had it reported doesn’t feel real and it doesn’t ring true.And soon they are going to mess about with constituency borders yet again. Psychologists Against Austerity: mental health experts issue a rallying call against coalition policies.